Julia Weijs is Marketeer at IXON in the Netherlands. She uses her expertise in international business and marketing to continue IXON’s worldwide expansion and operation. 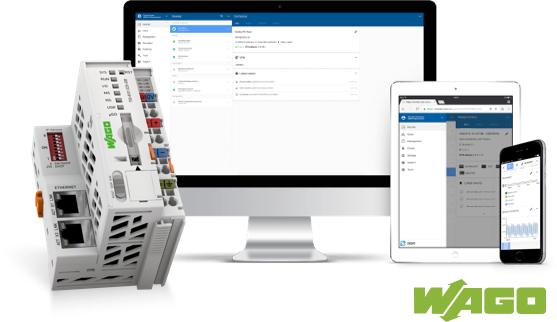 The IXagent, an alternative to the IXrouter, is the powerful software that is specifically developed to be integrated in PLCs from different manufacturers. The IXagent is now also available for WAGO PLCs, in addition to the previously available integrations with manufacturers such as Berghof, Beckhoff and Sigmatek. Easily connect your device with the IXplatform via the IXagent and gain insight into your machines. No need to invest in costly and time-consuming development of custom software. Securely connect your equipment to the cloud. The IXagent offers a seamless integration with the IXplatform, without requiring any additional hardware. When the IXagent is installed in the WAGO PLC, the user can access the IXplatform and easily establish a VPN connection to the PLC for remote troubleshooting. Securely and easily access the PLC’s local web page using IXON’s Cloud Access. Start logging data with Cloud Logging to gain relevant insights into your machines. Protocols such as Modbus TCP and OPC UA are supported by default. The data, stored up to 7 years, can easily be accessed through advanced dashboards. The user can also choose for which events notifications should be sent. Relevant users will be notified by email or push notification. The IXplatform ensures that users will also be notified when the connection between the PLC and cloud is lost. WAGO is a leading supplier of automation products and solutions. The WAGO Group has over 8.000 employees worldwide, spread over 23 companies and 9 production facilities. With the PFC100 and PFC200 they offer a range of compact and powerful PLCs. The Linux and Codesys-based PLCs offer the possibility to install third-party applications. IXON offers the WAGO IXagent for these PLCs. This IXagent can be installed on the WAGO PLC in no time and immediately turns the Wago PLC into a fully cloud-enabled PLC. Want to connect your WAGO PLC to the cloud?